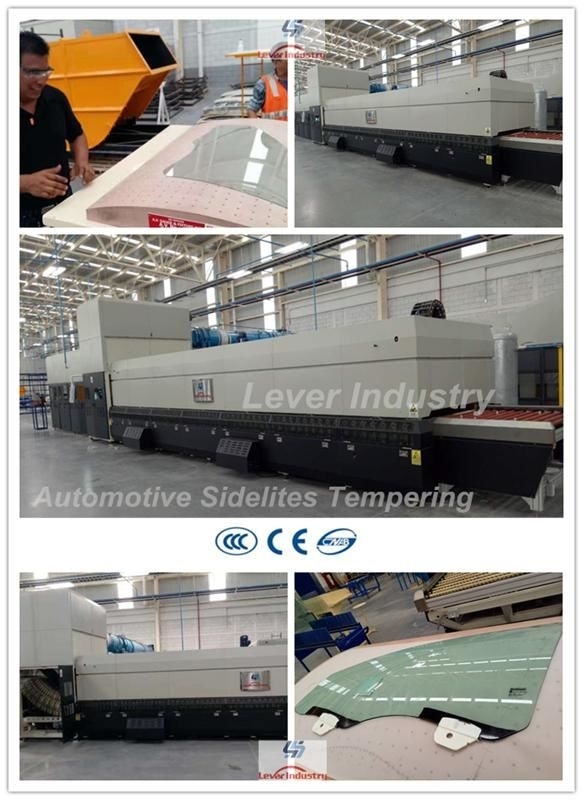 Continuous Bending Glass Tempering Machine is a special plant used to produce the bent tempered glass, which mainly used in the fields of side windows (sidelites) of automotives, trucks, shower room, furniture, etc. The side door of the automotive should be single curvature. Our customer produced the side doors for BMW, Audi, Toyota, Honda, Hyundai, Peugeot, etc. ►. The bending forming is with servo motors & servo controllers which from Yaskawa, Japan. ►. Higher precision and speed arc-changing. ►. Most advanced bending forming technology in China. Easy & accurate arc-adjustment. The glass type change could be finished within few minutes. ►. Standard for processed products: GB15763.5, GB9656, EN12150-1:2000, ECER-43, ANSIZ97.1, etc.